Derek serves as Chief Financial Officer for KPC and brings ten years of experience to the accounting team. 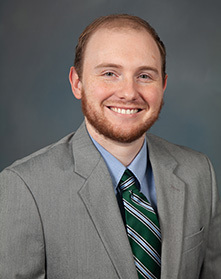 After earning a degree in Economics from the University of Georgia, Derek served in various capacities as an analyst for several banks. He then went on to College Town Properties where he served as a Controller before joining KPC as CFO. Derek is a skilled analyst who is knowledgeable about all aspects of company financials and financial strategy. His organizational and leadership skills are an asset to the accounting team.